Why do we make education hard? I spent a LOT of time in education. I have spent a LOT of time reading books trying to learn things. I studied medicine, which is lifelong and ongoing study. I’m still studying, all of the time in fact! The language that is used in education is extremely complicated. We are taught with complex words delivered in complex and uninspiring ways. I have spent countless decades trying to survive, yes survive the most tedious and boring lectures and I know I am not alone here. Who decided we needed to make learning boring and hard? At what point does learning stop becoming fun and interesting and becomes some onerous boring chore of a task? When we are small, we enjoy learning. It is a joy to learn new things about life and the world. Learning is made fun. We have fun learning new things, like…. walking, where the parks are, what animals are, and what our foot tastes like when we put it in our mouth….. Adults do their best to support kids to learn. Toys are designed to make learning ‘fun’ for children. Things are kept simple. But for adults? Is learning made fun? Even in high school? At what age is it ‘right’ and decided to take the fun out of learning? Making it some tedious, frightening and most stressful task? Children learn well when it is fun, when it is interesting and there are no fear of failure consequences, or being laughed at. Just imagine if we graded our children on every time they tried to take a step as babies and gave them a mark out of 10 or spoke to them in stern monotone voices about the importance of walking?! Do we think they would learn to walk or speak? Or would they just give up and stay in their cots…. When we are small, learning is colourful, there is care that goes into our ‘education’, but then as we age all the colour and the joy is taken out of education. It becomes grey, regimented, full of ‘you have to’ ‘you have to get this mark’ ‘you have to beat this person’. We learn as we age we need to dress more grey, more regimented and more conformed. The more we want to be taken seriously the more serious we have to be. When we are small, life is made simple but as we age, we are told that life is complicated and things are complicated in the way that they are delivered to us. Lets face it. Tertiary education – there is zero fun in it. There is zero simplicity in it. Things are delivered to us in the most complicated way possible which we then need to decipher. And then we come out the other end viewing life in complexity, not in simplicity, regimented, ‘serious’. Why do we deliver it in this way? And why do we act in these ways after we are ‘educated’ making us very different to the delights we were when we were small? I work in medicine. I most definitely don’t speak in the complicated ways that I was and am educated in to my patients. When I speak to my patients, I speak to them in a way they can understand. I make things simple because things are and can be understood in simplicity. This empowers people to equal understanding. This leads me to question, why am I, who is also a simple person, not taught or spoken to in a way that is simple, but rather spoken to in a complicated way throughout the process of education? After all, I am a person just like the patients who see me, and the information I learn is to serve them. So why is it taught to me in such a different way that I deliver it to them? Why is the foundation of ‘education’ once you decide to ‘undertake it’ complexity and seriousness instead of simplicity and joy? It was once said by Einstein that if you can’t explain something in simple way, you haven’t understood it. Is it possible that our education system is not based on understanding but rather on the regurgitation of facts disconnected from real life? And if so, then what purpose is that really serving other people in society? Is not the purpose of education to gain greater understanding so that you can then share that understanding with others so that they are empowered? Spreading complexity and lack of understanding around society, well that doesn’t make sense to me. What we need is simplicity and understanding that empowers all, equally so. Thus if this is what is needed, this needs to be a foundational tenet of our ‘education system’. Our current approach to ‘education’ is crippling us. It is producing people who see life with complexity and who are afraid to fail and afraid to make mistakes, which are at times a necessary part of the grace of learning. It is producing people who value the recall of facts as of higher value than innate human qualities such as care, love, compassion and understanding. It is producing people who are afraid to live in life, not people who are empowered. We need people in life who live well, who love and care, who are well, and are empowered, not those who are crippled with the complexity of life and live in fear and stress. Our ‘education system’ produces the people who live and work in society. There is great responsibility here. We need to foster the true values in society that really build quality in society. Our current ‘education system’ does not do this, it makes life ‘hard’ and ‘complicated’, and removes us from our innate qualities of care, love and compassion making life ‘intellectual’ about fact recall and not about people. It is not about US as people. It is a joy-less experience, with zero fun and 100000% stress and obligation. Its time for a change to return education to its true foundations of connection, joy and understanding, of sharing understanding so that all may grow. And this is something that can and ought to be and needs to be found in ALL aspects of our education system from the kindergarten to the post graduate and beyond. The quality of our society and the health and well-being of people depends on it. ← Medicine in the age of technology. Does the personal matter? playfulness simplicity and fun the way to be and learn for all ages I love it ! Hello Dr Maxine and I’m not sure if I should give a serious or fun answer to your education blog. I agree and the pressure that comes with education is immense. The need to be right and wrong from the view point of a variety of eyes makes it also very complex. I have found simple is best and always clears things up so you can see the next step. I have recently taken some study up with Evolve College and found that have shifted the ‘education’ part a bit. There is still a strict compliance with legislation around the training but the delivery doesn’t drill you into the chair, a nice change I would say. It’s interesting you speak about how we learnt as children as I’ve notice from seeing my children enter kindergarten at different ages how much things have changed. Even at that young age children are now graded where it use to be mainly an introduction to school social life. Turn back on the fun Dr Max I say, maybe you should start something or maybe you already have. Haha thanks Ray. Yes, turn back on F.U.N I say!! groundbreaking blog Maxine, loved it loved it!! What I remember about fun education when I was younger was that there was a feeling of space – there was no anxiety about a test at the end of semester, there was no competition between classmates, there was only openness and there was way more fun and connection and engagement with what I was learning. University has been nothing like that – it is preparing people in a dull and grey way, to work in a dull and grey way. If tertiary education was made fun and taught with fun toys then I guarantee we would have so many more successful people! Thanks Harry, I’m sure you bring the fun and joy to others in your course 🙂 I agree, make it fun, there would be far more true success, and, shorter degrees…..
Hi Maxine, I loved your blog. I wrote a similar article recently on education (http://theworksofsergebenhayon.com/serge-benhayon-the-true-educator/) as I too felt that there was something wrong in our education system. Education is a set up to invest all your eggs in the ‘intelligence’ basket, all to realise that at the end of your degree/course/study you have no eggs invested in the ‘you’ basket. ‘You’ are then left as an exhausted, dull and given-up graduating student – reaped by the system for the promise of good grades. What a set up. It’s time we bring back the joy, fun, connection and equally educate the being/person as well as the information for their profession. We need to find a supportive way to be in the education system, equally to the education system simplifying and re-developing its studies to accommodate for the people learning it. Thanks Arianne, I love your blog on education. Very powerful, bringing life back to not just to the core of who we are, but who we are and how we are to be together. We definitely need to bring another way to people in the education system and I see more than that a call for a huge transformation into that which we consider education and how it is ‘delivered’ from day dot, and, WHAT we deliver in that which we call ‘education’. Education cannot be separate to life, it must be life itself. Living life is life’s biggest ‘educator’, why limit it to schools I say! Absolutely brilliant Maxine, now this blog was educational and FUN to read. You are spot on its as if life has been set up to make us give up on learning, like we have our ‘lot’ and we should just get on with it. Look where this has got us all. The most vibrant, vital and robust people I know are those like you who see each day as a super cool teaching. After all, if we saw the world this way, what would ever make us want to sleep in and forget about the day? Thanks Joseph! I agree, the most vibrant healthy people are the ones who see life itself as a learning, with ‘learning’ not limited to ‘the class room’ or ‘the course you pay a lot of money for’. Bringing fun back into education is so needed. As you mention Maxine if we are to learn about life and if its done in a serious manner then we then relate to life in that same seriousness. And if we do that for every aspect of life from kindergarten all the way into work based training then what does life overall become? Fun and light or serious, dull and something we feel the need to break away from which is supplied by the stimulation industries of drugs, alcohol, TV, video games and many more ways of withdrawing. This breeds the perception that what we had as kids is not assessable as an adult and the only fun is found in an altered or stimulated state of being. Reading your blog was fun Maxine! It made so much sense and I am sure even when there are more complex things to learn like you have had to in Medicine, there are simple and fun ways to do it! I felt stressed all through my schooling and most of it was due to the scrutiny and fear of being incorrect! You are onto something here and taking the pressure out of learning will surely be more inviting than the current competitive and divisive system we currently have. Thanks Bernadette!Yes the stress of scrutiny and fear of being incorrect is huge! Making mistakes and getting things wrong is a natural part of life and learning and we are paralysing the growth and confidence of people by crippling them in fear of getting it ‘wrong’ and the need to get it ‘right’ at all times! Getting is ‘right’ is not where it is at. It is not humanly possible to be 100% ‘right’ all the time! Thank you Maxime. Totally with you – education has become so serious and this is actually very very exhausting (my experience). If we would make education simple and fun again I guess everyone could start to enjoy school and university studies. At the moment it is for many a task, something that we ‘have to’ do before we can move on to the fun parts of our lives, being with friends, spending time in nature etc. whilst should not everything be enjoyable equally in our lives? Imagine that! 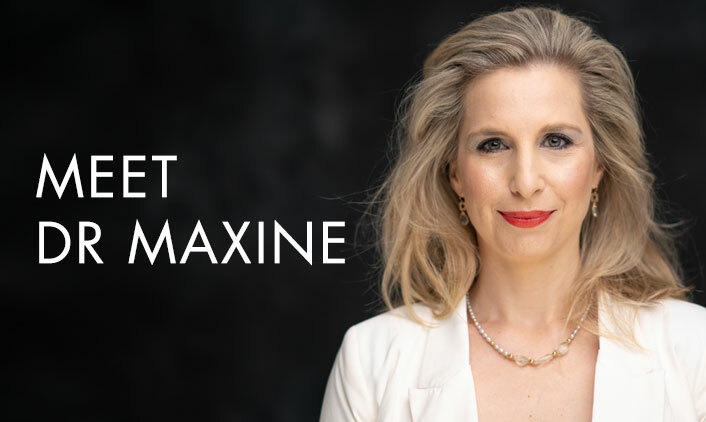 Beautiful blog, Maxine. And so true. It is crazy that we go into study because we love something and want to learn more about it, and yet the way we are taught is loveless and joyless and often knocks the playful stuffing out of us. Of all the many teachers I have had, the ones I remember and cherish most are the ones who still had that sense of wonder and joy and love of what they were doing, and those people were able to teach with the simplicity of someone who understands it to their core, and therefore it came from their heart.